1442249161 –This fully updated and revised sixth edition offers readers a comprehensive set of tools for understanding the urban landscape and, by extension, the world’s politics, cultures, and economies. 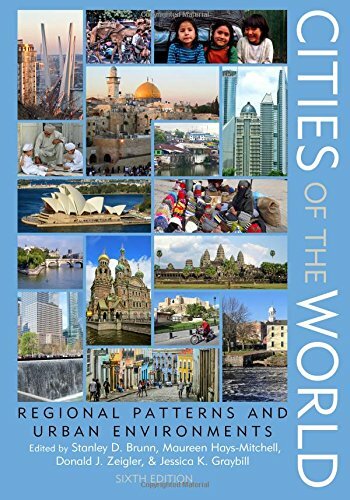 Providing a sweeping overview of world urban geography, noted experts explore the eleven major global regions. Each regional chapter considers urban history, economy, culture, and environment, as well as urban spatial models and problems and prospects. Liberally illustrated in full color with a new selection of photographs, maps, and diagrams, the text also includes distinctive textboxes to highlight key topics such as gender and the city, Islamic fashion, and global warming. Clearly written and timely, Cities of the World will be invaluable for introductory or advanced classes on global cities, regional geography, the developing world, and urban studies.